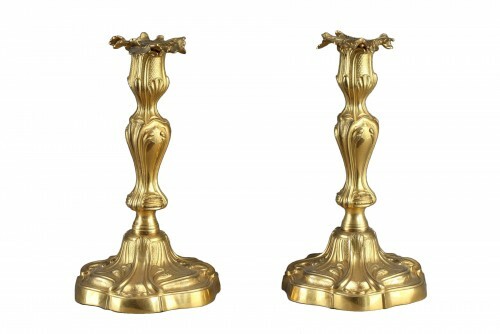 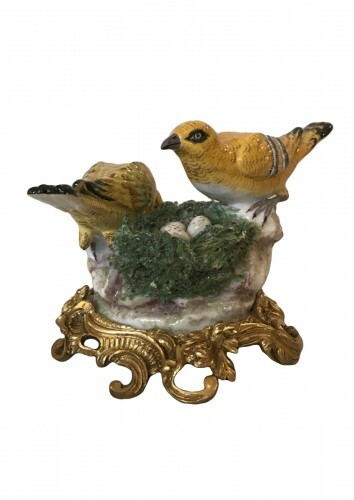 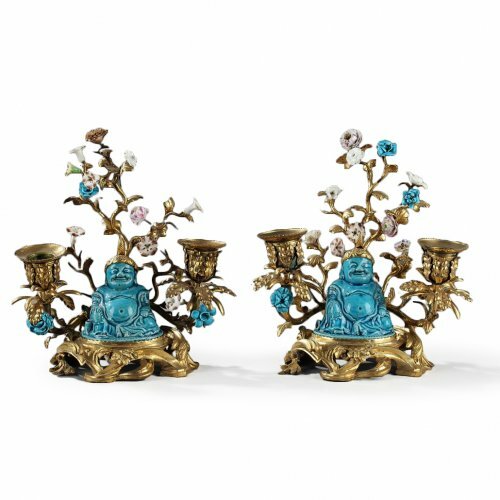 Pair of turquoise biscuit figures mounted with french ormolu in the shape of a bush, with Meissen porcelain flowers and two branches being used as candlesticks. 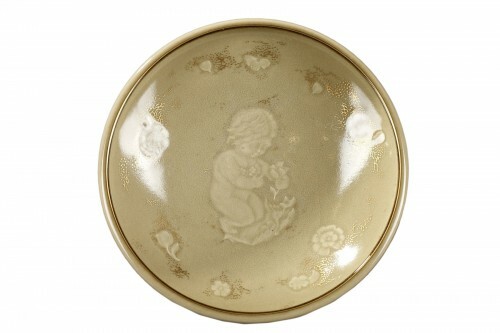 Buddhais Kangxi Period ( 1662 - 1722 ). 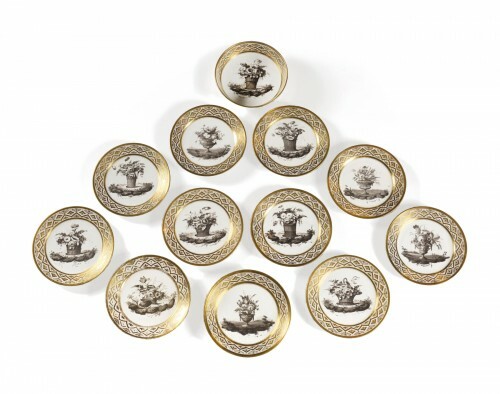 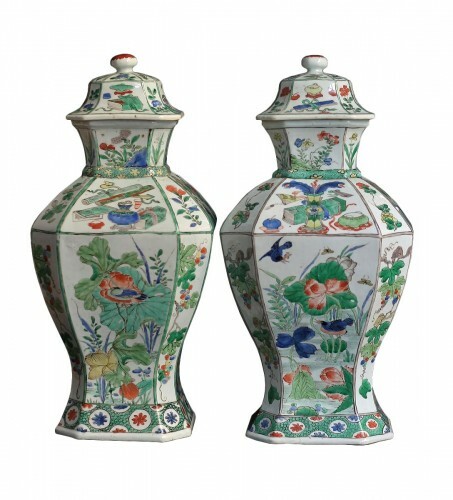 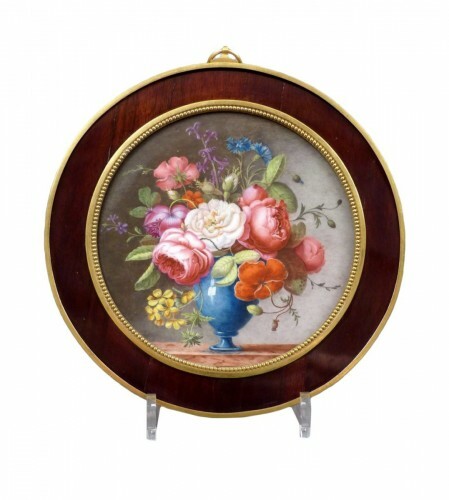 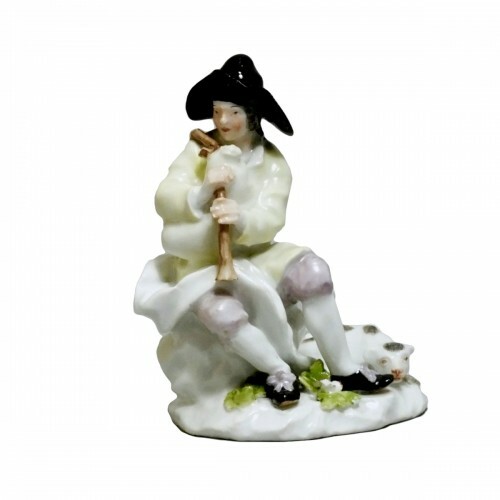 Flowers in 18 th century porcelain. 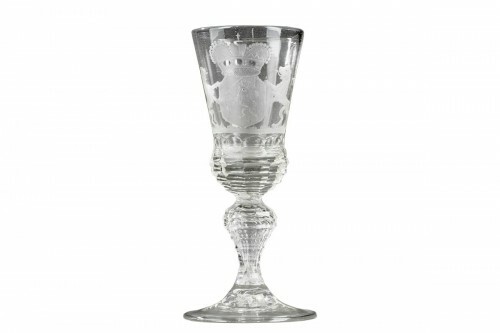 Ormulu Louis XV Period circa 1735 - 1750.